Debt Problems Weighing You Down? Debt - 911 in association with Justin Van As and Associates helps over-indebted individuals to devise an affordable repayment plan which will be acceptable to their creditors. Call us now to explore your debt reduction options. 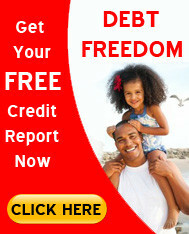 Debt-911 offers a free consultation and you don’t even need to waste money on travel. We offers a free telephonic consultation to people who feel they may be over-indebted. We are able to assist clients nation-wide and are able to offer callers an initial assessment over the phone. Clients are also welcome to secure an appointment at our corporate offices in Witbank, Mpumalanga where our consultants will explore and discuss all your debt counselling options. Who Should Use Debt Counselors? Individuals who feel they may be over indebted should seek the advice of a debt counselor who is a registered practitioner with the National Credit Act. How can Debt-911 reduce my monthly repayments? We are authorised to reduce our clients payments by extending previously negotiated repayment periods, and sometimes we can even negotiate a lower interest rate. Will I need a face to face consultation with Debt-911? The entire debt review process can be initiated and indeed finalised by telephone and e-mail. Clients do not need to engage with us face to face. Copyright © 2013 - 2019. Debt-911 in Association with Justin Van As & Associates | All Rights Reserved.